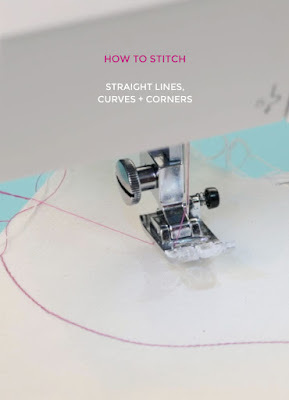 Once you’ve got the hang of stitching willy-nilly, you’ll want to practise sewing in a straight line. 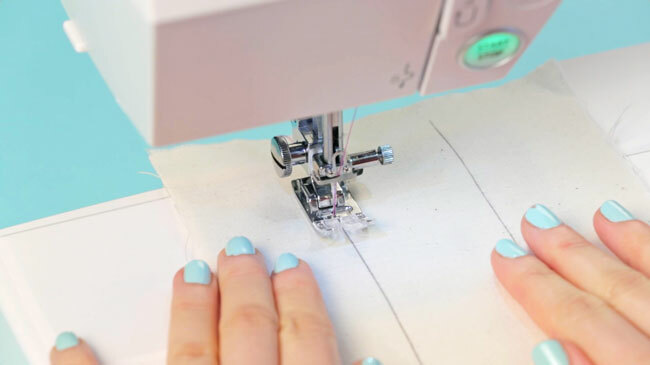 To get started, try drawing a straight line directly onto a piece of cotton fabric. Use this line as a guide - take a bit of time getting used to controlling how the fabric goes through the machine until you’re happy with your straight lines. 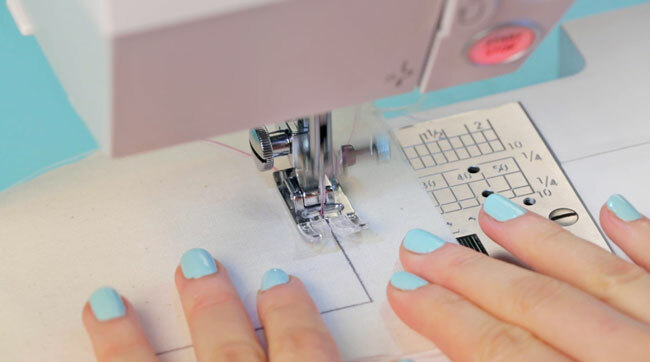 When you stitch, you’ll want to gently guide the fabric with your hands, keeping the presser foot lined up with the direction of the upcoming part of the curve. It helps to keep your eye on the part of the curve an inch or so in front of the needle and keep that bit angled straight towards the needle. Go slow, taking as many pauses as you need to keep up with the twists and turns. 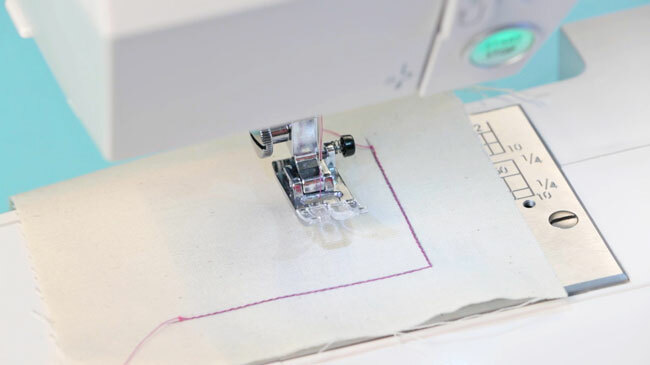 It does take practice to get the hang of this, so have a few goes until your stitching line is following the drawn line. 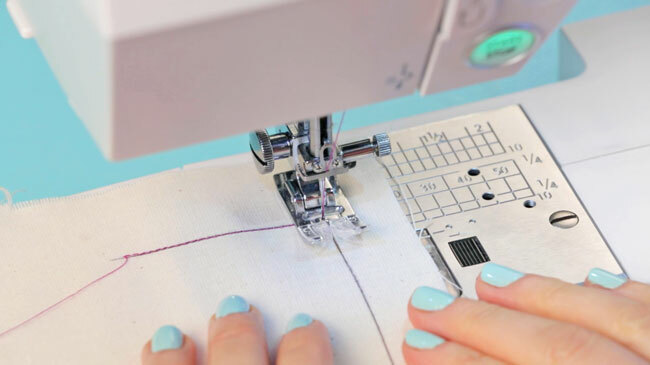 Draw a right-angled corner onto your fabric to practice. 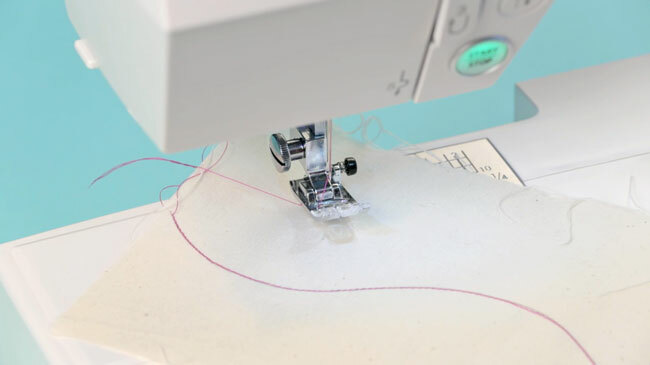 Start machine stitching along one line until you reach the corner. 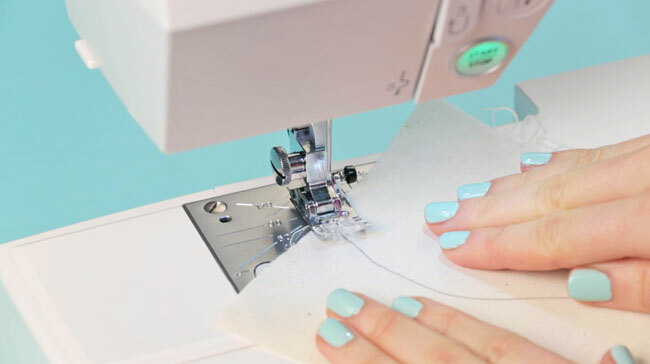 You want the needle to be pushed down through the fabric right at the point of the corner so you could use your hand wheel or needle up/down button to help you get to the exact point precisely.